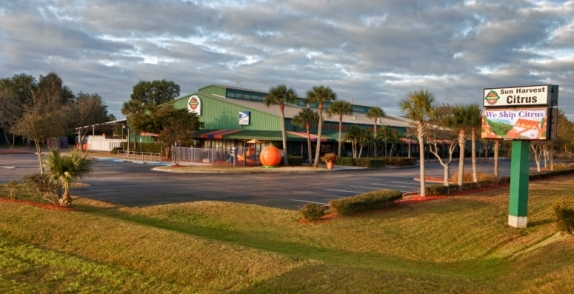 Squeeze in a visit to Sun Harvest Citrus for a taste of Florida you simply will not find anywhere else! You are in for a real treat when you walk through the doors at the Sun Harvest Citrus Packinghouse. Here is just a glimpse of what is in store for you: Cool off with our freshly squeezed juices, tasty soft-serve cones, and healthy fruit smoothies. Or enjoy sweet and juicy in-season Indian River citrus. There's also a wide selection of distinctive Florida foods and unique gifts. 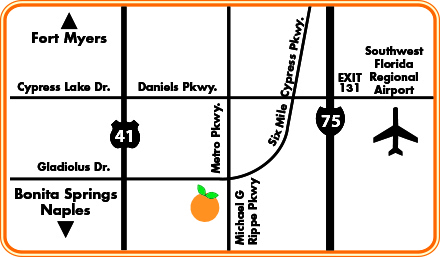 Look for our BIG GREEN PACKINGHOUSE at the intersection of Six Mile Cypress and Metro Parkway on the way to or from the airport. If you can't squeeze in a visit, you can still enjoy a taste of Florida. We ship the finest Indian River citrus our family grows across the U.S. and Canada.